Absolute Powerpop: Late May Roundup. 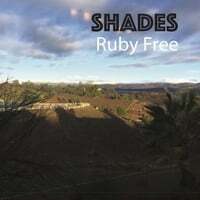 Ruby Free-Shades. Maple Mars' Rick Hromdaka teams up again with Lisa Cavaliere (his wife) as Ruby Free, and the result is another wonderful laid-back album of 70s-inspired husband & wife pop. Highlights here are the guitar pop of "Take a Ride", the psychedelic shuffle of "Walking Along", the Paul-and-Linda inspired "Say Goodnight" and a note-perfect cover of The Carpenters' "Superstar". An album with great melodies - and charm. One of 2017's best. 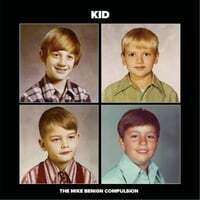 The Mike Benign Compulsion-Kid. Our favorite Milwaukee power poppers are back again with a concept album of sorts about childhood and growing up, complete with the Let it Be-styled cover with photos of the band as youngsters. It's another collection of top-notch Squeeze-meets-Elvis Costello pop with standout tracks "Gadfly", "Kid" (with its memorable hook), and the rocking "The Best Years of Our Lives". And keep listening through - the 10th track, "Generations", might be the best here, sounding like a lost early-80s hit. 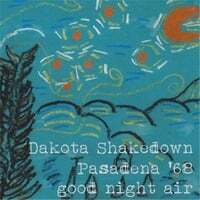 Pasadena 68/Dakota Shakedown-Good Night Air. Ex-High on Stress frontman Nick Leet's Pasadena 68 has once again teamed up with friend and former 90's bandmate Mike Hjelden's Dakota Shakedown for another split album. DS gets the first five tracks, and P68 the last five and despite being a split LP the bands' similar Replacements-rock sensibilities make for a seamless experience. DS' "Hurry Up and Wait", with its Westerbergian mix of yearning and fire, is their standout here, while P68's rootsy, laid-back "Peace Garden State" is a gem as well. 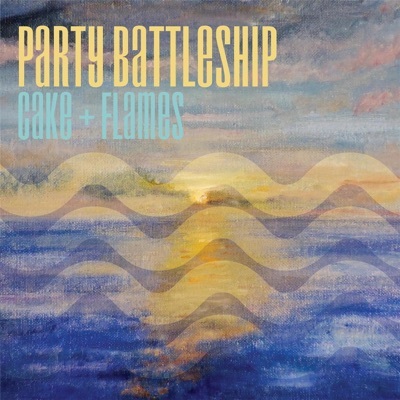 Party Battleship-Cake + Flames. The New Pornographers have a new album out, and as always it's worth picking up. However, if you want an American version of them there's another male/female-fronted supergroup of sorts which collects some of the best power poppers of Charlotte, NC. Shalini Morris (Kissyfish, Vinyl Devotion, Mitch Easter), Donnie Merritt (Lodestar, Mark Crozer and the Rels), John Morris (Tyre Fyre, Electrolux, Snagglepuss) and Adam Roth (Bellglide, The Catch Fire, Laburnum) join forces here for a rocking collection of driving pop tunes. The ones here to catch are their opening "Theme Song", "Almost Overton", and the Marshall Crenshaw-esque "The Fifth Season", but they're all pretty good. Party on!